PRIVATE AND PUBLIC – WHAT’S FAIR GAME DURING ELECTION SEASON? 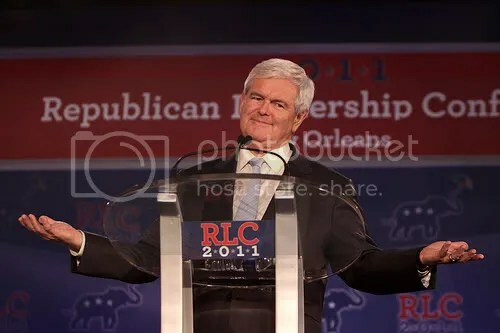 When John King began the South Carolina Republican Debate by addressing Newt Gingrich’s marital past, an incensed Gingrich snarled that he was “appalled that you would begin a presidential debate on a topic like that”. While Gingrich might not think his numerous marital issues merit any attention, they have become an unavoidable part of the Republican primaries. Although some of the publicity surrounding Gingrich’s private life is mere muckraking by his opponents, one should ask if delving into candidate’s private affairs is valid in a presidential election. From his response to King’s question, it seems that Gingrich believes one’s private life should not be discussed in a campaign for public office. Instead, his response suggests that there should be a distinction between a politician’s private and public life. It then follows that the only issues that should be raised in a campaign are those directly pertaining to a politician’s public life—actions as Speaker of the House, congressional voting record and work on House committees. In the true bureaucratic tradition, Gingrich appears to claim that as long as he carries out his official duties, his private life is irrelevant. In essence, an office-holder is simply an automaton; in his role as office-holder, he is a faceless, emotionless, replaceable cog in the machine of the bureaucracy. The implications of Gingrich’s position—if he truly believes it—are far-reaching. In terms of the Republican campaign, it would make Mitt Romney’s history at Bain Capital and his low individual tax rate completely irrelevant. If Gingrich should not be attacked for the marital missteps he made as a private individual, Romney should not be attacked for unsavory business practices he carried out as a private individual. Instead, the two candidates should only discuss the actions undertaken in their capacities as congressman and governor, respectively. In addition, Gingrich’s position affects the United States’s international standing as well. If the nation adopts this complete separation between private and public lives, it sacrifices its position as moral referee for the international community. If the nation doesn’t demand morality from its leaders, it cannot demand such behavior from other nations. For example, could the United States censure former Italian Prime Minister Silvio Berlusconi, for his reprobate behavior if the same actions were acceptable for our leaders? Furthermore, following Gingrich’s argument to its logical conclusion, the office of the presidency of the United States completely loses its personality. Rather than having a charismatic individual be the face of the nation abroad, the United States would be hidden behind a wall of faceless bureaucracy. Of course, Newt Gingrich might not believe that his private life has no bearing on his public life. It is entirely possible, even probable, that he temporarily adopted this position to avoid uncomfortable questions that would hurt his campaign. By attacking Romney’s history at Bain Capital, Gingrich is implying that one’s private life does indeed matter to one’s public life. In doing so, Gingrich shows himself to be either hypocritical or merely confused. If he does not want his private life to be brought into this campaign, he must stop discussing Romney’s personal past. Otherwise, he should gird himself for more intense scrutiny of his marital past. Image by Flickr user Gage Skidmore. This article doesn’t address what I think’s most problematic about Gingrich’s history of infidelity — that he led the fight to impeach Clinton at the same time he was having his own affair. If that’s not putting politics over integrity I don’t know what is.